Designed with ingenious showering science, Mira is dedicated in manufacturing the best quality showering accessories for almost any aqua area. They have now employed their skills along with the knowledge of their talented staff, to innovate high performance Electric Showers. Every single fixture in the Electric Showers series typically embodies both practicality and beauty making them a favourite in the contemporary household. 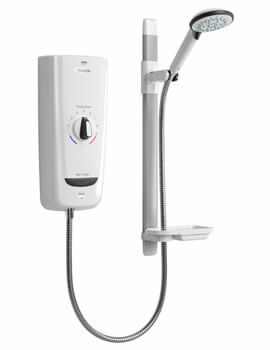 Mira’s Electric Showers are available in a plethora of shapes and sizes graced with white or chrome finishes, along with featuring numerous power options. 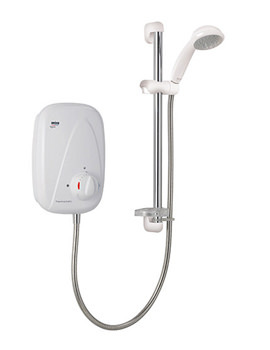 Electric Showers are ideal for families with the limited supply of hot water as they consume water from the mains cold water supply. The patented Mira Clearscale technology in these super-effective showers reduces limescale build-up further making them easily cleanable. Mira Power Showers are efficient at performance along with being visually appealing with the stunning white or chrome finishes. The entire series brags contemporary aesthetics that meld well with any bathroom milieu and create a harmonious appearance. 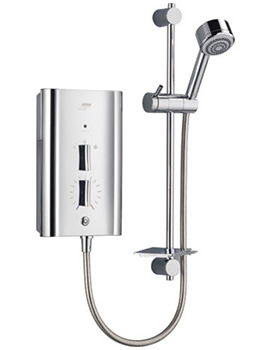 Featuring thermostatic or manual operations, each of the Shower displayed below provide the total satisfaction of use. Mira also backs them with reliable guarantees, supporting their long-lasting quality.